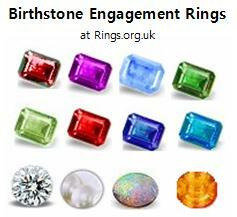 Engagement rings containing your birthstone are precious rings with double significance. 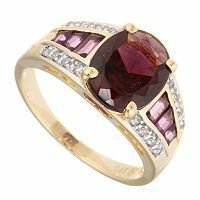 As well as the thrill of becoming engaged to the person you love the most in the world you’ll have the lucky gemstone of your birth month included in the ring they have chosen for you or with you. 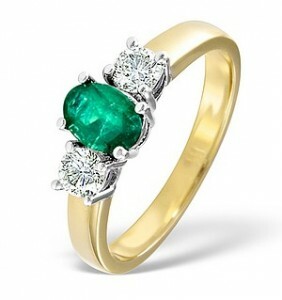 Emerald rings contain the chosen gemstone for the Taurus star sign and those born in May. Emerald is also the gemstone for the 20th, 35th and 55th wedding anniversaries. Aquamarine is the chosen gemstone for the Pisces star sign and those born in the month of March. 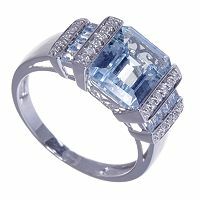 Aquamarine is also the gemstone for 19th wedding anniversaries.